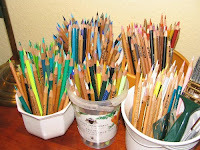 Making a Mark Reviews: Which is your favourite make of artist grade coloured pencil? 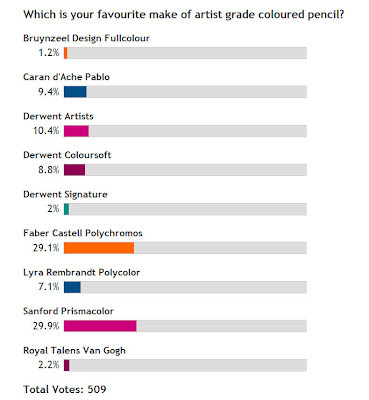 Here in Vancouver and I suspect all over North America Sanford Prismacolor is everywhere, art stores to supermarkets so that may account for their popularity in this poll. Yes, I agree with Dan. I wonder if it's possible to find out which ones are the most popular given what is available to you. I'm not sure it can ever really represent the most popular overall but the most popular of those available. I found my Prismacolors in Kuwait! I don't rate them at all - well, maybe they'd have a fairer chance if only they hadn't all broken in the pencil sharpener! I wonder what you think of Lyra's Katherine? I found the properties very variable - for instance, Gold Ochre is very waxy and won't blend with some of the others. I used Caran'dAche for 25 years until the CPSA published their fabulous (though depressing) light-rating charts. I suspected my colours were fading - some even WHILE I WAS STILL WORKING ON THE PICTURE! - and couldn't ignore it once the charts became available. I tried lots of other more light-fast brands, starting with Royal Talens V. Gogh - absolutely HATED them. Nice colours but wouldn't take any layering (duh?) and scratchy on my beloved Bristol paper smooth surface. I then got individual colours in Derwent Artist, and they're good especially for flesh tones, thought they're a bit chunky for my liking.. I then continued the spending spree (having jumped in with complete sets of the R.T.V.G in both permanent AND water-soluble) and bought the complete set of the new Caran d'Ache Luminance. These are very soft, and as with all brands, different pigments vary in their make-up, some being softer, some more scratchy. But overall I find them quite delicious. 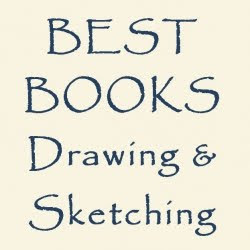 I'm using a mixture of ranges, as having had a grumpy year trying everything (one of my students was amazed that I'd go to so much trouble, but I simply couldn't bring myself to continue using my old pencils. Anyway, its good, if hideous, for us teachers to get right out of our comfort zones (sob). The student asked my what I'd do if I didn't like the new pencils. My answer was "....I'll learn'. The upside is that I'm enjoying the new palette that I'm using, getting different greens etc. 25 years was a bit too long with one brand! My next challenge is to start messing about on different papers, but now yet. One step at a time. Sorry this is so long, you don't have to publish!